The New Year is here and what better time to spruce up your home? January, for many homeowners is a time for clearouts and general home improvements and there are some fabulous homeware brands out there to choose from. One in particular is Utopia, who is recognised for luxurious bathroom furniture solutions. If your bathroom needs a little TLC or a large makeover, there is something at Utopia to suit every preference. If you have never bought wall tiles before, you may be surprised by the amount of choice on offer. There are hundreds of different colours and textures available at Utopia which makes it easy to find a style that complements your home’s existing décor type. High quality wall tiles can update a bathroom in an instant and whether you want to update a traditional bathroom or create the illusion of space, you can do all of this and more with a well chosen wall tile design. Opulent black slate tiles will add a luxurious touch to any bathroom but be wary of using a tile such as this in a small room as dark shades will not open up the room like a light coloured tile. A bathroom simply isn’t complete without with a beautiful bathroom mirror. A mirror can reflect the light and make your room seem bigger than it actually is. When you want to enhance your space with a beautiful mirror but space is limited, Utopia stocks a selection of mirrored cabinets that give you the best of both worlds. If your bathroom is bursting with luxurious lotions and potions, a mirrored cabinet is the perfect place to store them. Having a bathroom furniture theme is the key to a show stopping bathroom. Utopia specialise in complete bathroom solutions which really sets them apart from other bathroom design specialists. Being able to buy all of your bathroom furniture from one supplier is not only convenient but it also helps you to create a beautiful room with ease. Popular themes include contemporary, classic, traditional and timber. 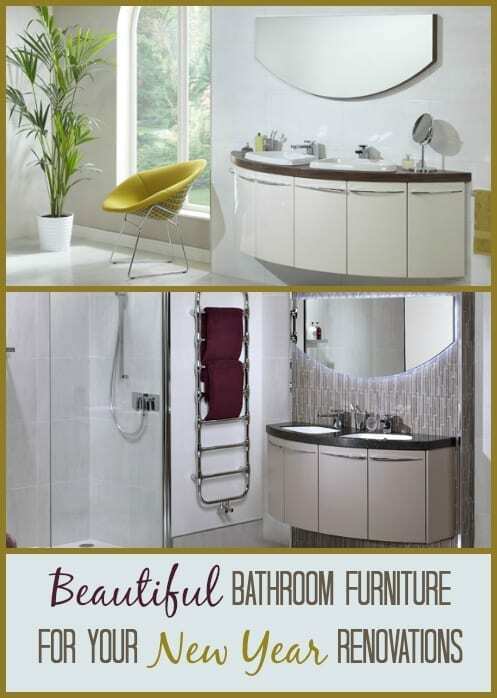 If you have never come across Utopia bathroom furniture before, they have a stunning selection of mirrors, taps, tiles and accessories to choose from. Browse their current collection and don’t forget to let me know what you think in the comments.